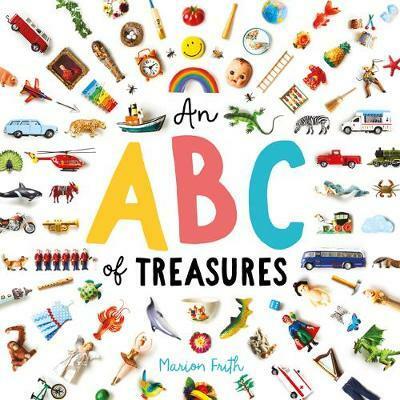 A glorious smorgasbord of colour, size and texture, An ABC of Treasures collects a variety of vintage, retro and contemporary objects for young readers to pore over and treasure. Always drawn to little things that are usually of little value to others, Marion Firth has fossicked about in op-shops and garage sales all over the world in her quest for the ultimate miniature collection. I have always noticed the attention children pay to objects that adults often dismiss as tasteless plastic junk, or old tat. They love that cow that their parent is paying no heed to. They see her face. They look carefully at the patten on her back. They find her grass to eat. I guess I wanted to honour that in some way.